The 16th term of Lok Sabha had seen a lot of discussion about Muslim women’s rights, especially in the context of Triple Talaq. HYDERABAD: The 16th term of Lok Sabha had seen a lot of discussion about Muslim women’s rights, especially in the context of Triple Talaq. However, women’s rights activists in Hyderabad note that when it comes to the political discourse of parties ahead of the general elections, Muslim women and their issues have been largely ignored. None of the political parties are fielding any Muslim women in the electoral fray or talking about issues specific to Muslim women. The issues of women hailing from Hyderabad like illegal detention of Muslim women as labour in Gulf countries, ‘Sheikh marriages’, lack of educational opportunities or issues related to women and the Muslim personal law are also missing. “Banning instant triple talaq was a move in the right direction. However there is still disparity in how a ‘talaq’ (initiated by men) and ‘Kula’ (initiated by women), is dealt with by the Qazis,” notes Jameela Nishat of the NGO, Shaheen. Even now, ‘Kula’ needs a man’s consent in writing but ‘talaq’ does not need a women’s consent, notes Jameela. “There is absolutely no systemic regulation in Muslim personal law about familial relations. These matters are being looked into by the Waqf board, which is not the correct authority,” said Lubna Sarwath of the Socialist Party of India. “If they truly want to bring justice to women all the marriages must come under the Minorities commission of government and personal laws must be regularised,” she added. Another critical issue that has been ignored by successive MPs and governments is that of Muslim women being forcefully married to rich Sheikhs. “Sheikh marriages are still a reality. However, AIMIM has been absolutely unsuccessful in curbing it. With no pressure from neither them nor the State government, the practice continues unabated with many young girls forcefully married off, to rich sheikhs due to poverty. Why is this not a critical issue for the political parties,” asks Syed Shahezadi, who had contested unsuccessfully on a BJP ticket from Chandrayangutta Assembly constituency last year. 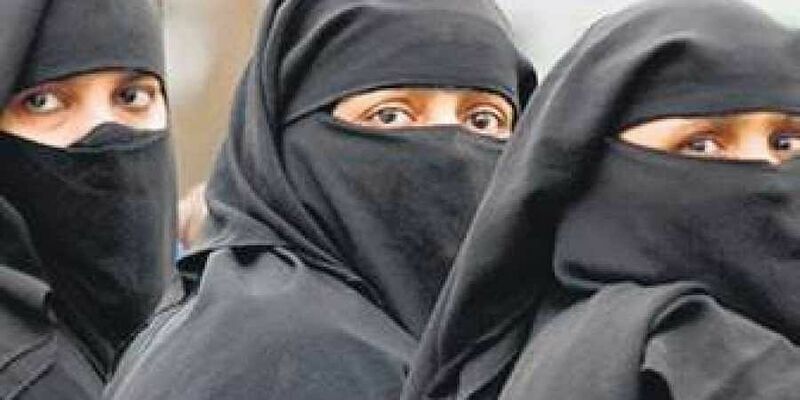 Regarding the issue of Muslim women travelling to Gulf countries to work as domestic help and getting held up there illegally, Sarwath said that the issue is for the Ministry of External Affairs to deal with and should have been taken up by the Hyderabad MP Asaduddin Owaisi.